This continues from Employment Tribunal hears cross-examination of Merseytravel employee in disability discrimination case. The Claimant’s representative referred to pages 275-276 which had examples of different requirements at different work locations. For example the Claimant had been due to work at Woodside on Monday, the Spaceport on Tuesday and in order to make up her hours had started at the Pier Head on Monday, gone over to Woodside on the boat, then returned back later on Tuesday to Seacombe Terminal before or after work at the Spaceport which had been two days in four different locations. 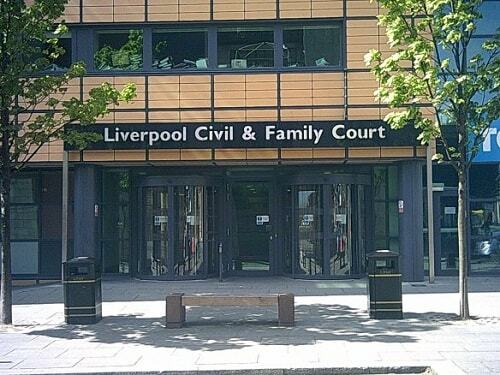 The witness said that they were all Mersey Ferry locations. In response to a further question the witness confirmed it was four different locations, but that the ferries option had suited her best as she could work with one of the team leaders for tolls who had been seconded to Seacombe. Asked if by suiting her best he meant she had been able to work her contracted hours, the witness answered, “yes”. The Claimant’s representative said that these were not the hours that the Claimant wanted to work but that the witness was claiming that she attempted to work her contracted hours. Employment Judge Shotter said that there had already been evidence before the Employment Tribunal that she had a choice as to how she worked her hours. The representative for the Claimant went back to the topic of annual leave, again Employment Judge Shotter interrupted her and said that she was mindful of the time. In response she replied that she was confident that she would get through all the Respondent’s witnesses by the end of the day but that she had a page and a half left on this witness and referred him to pages 76-78 and in particular page 77 and the decision to work at Mann Island. The witness was asked if Mann Island was not open on the weekends to which the witness answered, “No”. It was put to the witness that some of the work at Mann Island involved a cupboard of thousands of documents and that the Claimant had to take staples out of the paperwork for scanning, was the witness not aware of what she did? The witness answered that it was down to the manager in charge of that department, but that she was part of the same team as they were all customer delivery and was not farmed out to a different service area. The Claimant’s representative said that the Claimant had been not working her normal shift pattern and did paragraph 58 of his witness statement mean that in essence he agreed with this because of the two examples just stated? The witness said that her normal shift pattern would have been starting at 10 o’clock on Sunday evening, working 5 nights and finishing at 6 am on Friday morning. In response to a further question the witness answered that she couldn’t work those shifts at Mann Island, but would start on a Monday morning, work for five days and finish on the Friday. The witness was asked a further question, stating that the Claimant would’ve worked six hours from midnight to 6 am on the previous roster. Referring to page 276 and an email about the opening hours at Woodside, it was put to the witness that Spaceport was open 5 hours a day and Woodside 7 hours. The witness agreed that these might be the opening hours. A question was asked about the Claimant not wanting to use annual leave or bank hours, to which the witness answered, “yep”. Employment Judge Shotter and the Claimant’s representative talked about annual leave, examples, then the witness made the point that the Spaceport was located in Seacombe Terminal. In response to a further question, the witness said that the Claimant had been allowed to choose her hours as long as she maintained the contracted 35 hour week. The Claimant’s representative suggested that the question was about the Claimant and her difficulty managing her hours as she had to each day consider where she was working. The witness replied that anything the Claimant had asked for had been accommodated, such as time off for rest days and that he was not sure what more Merseytravel could have done? Page 325 was referred to and the anxiety and stress that the Claimant had suffered in fulfilling her contracted hours that detailed direct discrimination? The witness replied that he could see that. Asked about commuting time, the witness was asked if the Claimant’s commuting time had increased and whether this was disputed? The witness replied that if she had driven it would have been less, but that he didn’t know if the bus or train arrangements for Margaret were longer or shorter. The Claimant’s representative explained that her normal shift pattern was at off peak times, which was twenty minutes, but at peak times public transport could take up to two hours and that the work at different times at different locations led to an extended commute. The witness replied that lots of places started at 7 am before peak hours. It was put to the witness that the answer depends on the start time and that the commute time might have been vastly increased. The witness answered that he wasn’t sure, but that the train should be the same amount of time whether peak or not. Referring to page 394 and the draft notes of the grievance hearing, the notes said that there was no detriment as she would be allowed a badge to park, but this had been a miscommunication, there had been no parking facilities across the bus station network and the offer of parking at Haymarket had been revoked? The witness replied that it looked that way, but it had been a conversation he hadn’t been copied in on. In response to a further question the witness replied he was not sure that commuting time was considered as a factor for any other employee in the organisation as how would you know what time the employee had set off from home to work? Asked if it was his understanding that car parking facilities were available in all facilities, he answered, “no”. Referred to page 392, the reference to an understanding that Margaret drove to work every day and that car parking was available at all Merseytravel Ferries, Old Haymarket, hubs in the city centre so the introduction to the grievance had considered it was about parking. The witness replied that he must have been mistaken as those were there for those who may need to use the car in work times, there was just Old Haymarket and parking at Seacombe and Woodside.